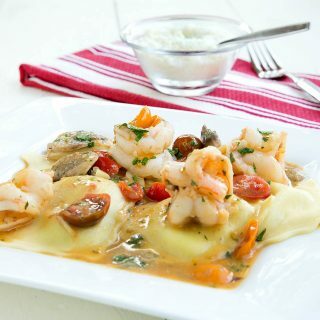 This restaurant-style dish is the perfect comfort food and easy to make. 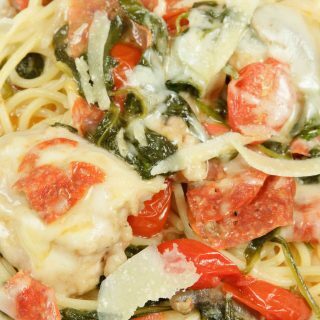 It's a great date night dinner that you can have on your dinner table in less than 30 minutes. 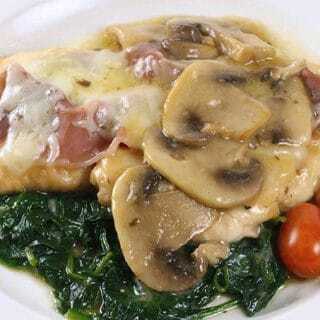 One of Lisa’s favorite meals is Chicken Marsala. 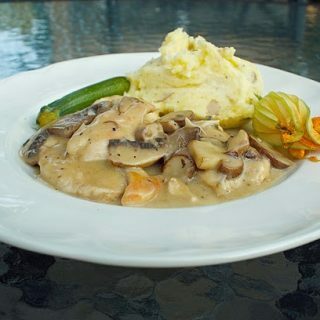 To her it means comfort food and having spoiled her with my classic of version of Chicken Marsala, nothing else will do. She’s tried ordering out and its never the same and it really only comes down to one reason. 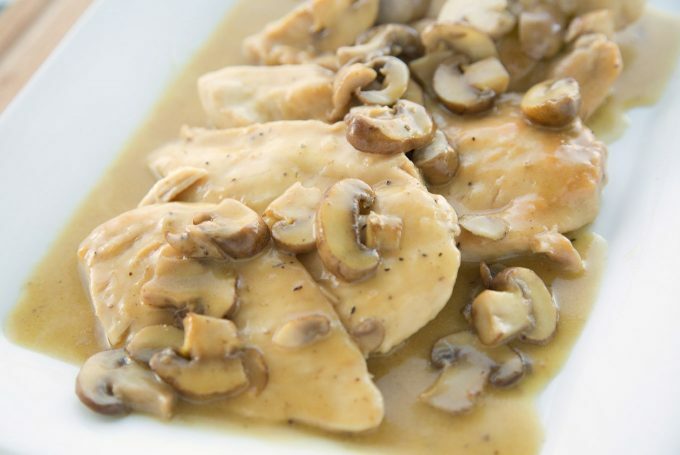 The marsala that most people use does not impart that extra special flavor that makes my Chicken Marsala legendary. 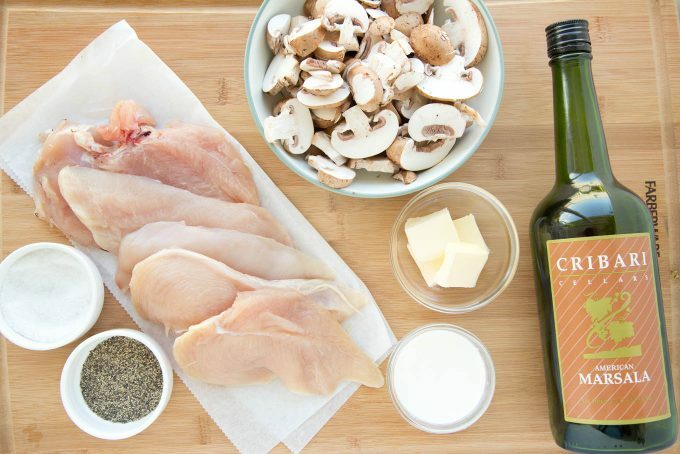 Let’s start by gathering the ingredients together for my Classic Chicken Marsala (aka mise en place). The ingredient list is short and sweet. Chicken, mushrooms, marsala wine, butter, cream, chicken stock (missing from picture) sea salt and black pepper. 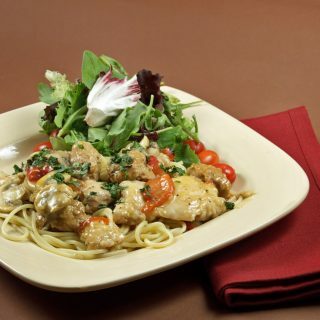 Throw in a little flour to dust the chicken breasts and a few tablespoons of your favorite olive oil and you’ve got a restaurant style dish done in less than 30 minutes for your next Date Night. Getting back to the reason my marsala is better than most is the marsala wine. In the mise en place, I have a bottle of Cribari marsala. My first choice will always be Pelligrino Marsala but it’s hard to find and more than double the price of Cribari. That being said when I have both on hand, I start with Cribari and finish with Pelligrino. 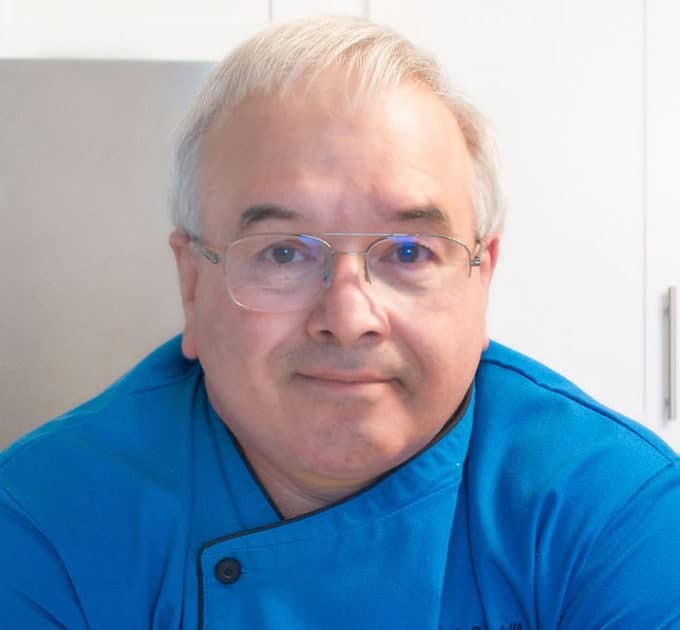 Now I’m not saying you need to buy two brands, it’s just something that I do to make the dish extra special for Lisa. When I can’t find Pelligrino I use Cribari and the dish comes still comes out better than most Italian restaurants. There is one other tip on buying marsala wine and that is if there’s a choice between dry and sweet, always buy the sweet. This will contradict what just about every chef will tell you, so you’re going to have to trust me on this one. Don’t worry that the sauce will be sweet, it’s just how they differentiate between the two varieties. Dry Marsala, in theory, should be more flavorful. But either I haven’t found a good dry marsala or it just doesn’t work as well as advertised in my dishes. 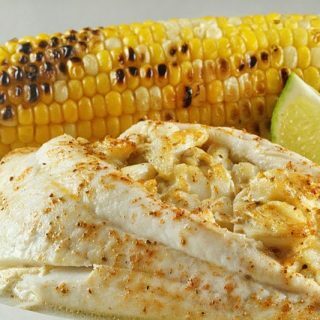 Prepare your chicken by triming away any fat and skin. . If you are using tenders you can just use them as they are. dredge the chicken in flour seasoned with salt and pepper, and add it to a hot sauté pan with enough olive oil to saute the chicken. Sauté the chicken for 2-3 minutes on one side then turn it over, at this time add your mushrooms to the pan. Continue to sauté the chicken, turning it as needed and letting the mushrooms cook. 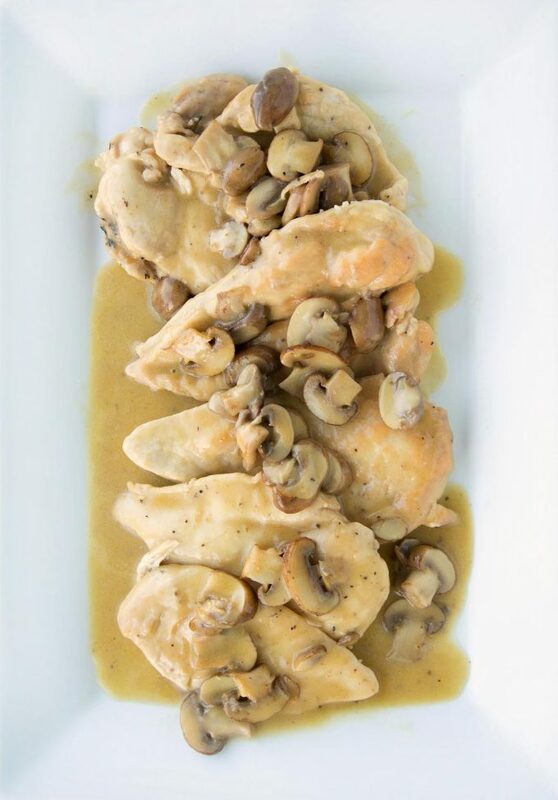 After the mushrooms look cooked and the chicken is well seared on all sides, add in 3/4 of a cup of your Marsala ( reserve 2 ounces to finish the dish). Add in the chicken stock, reduce the heat, and allow to simmer on low as the sauce reduces. At this time add in the granulated onion and black pepper to taste. When the sauce has reduced about half of its original liquid, roll 1 tablespoon of butter in flour, getting a good layer of flour embedded into the butter. Now add it to the sauce, this will help thicken your sauce. (this method is called a beurre manie). Mix this well into the sauce and then add in the remaining Marsala wine. If the chicken breasts are thick your best bet is to split them down the middle making two thinner fillets from the one breast. You can also pound the breasts thinner with a meat hammer but that is not always necessary when you split the breast.